Welcome to the aptitude test section of ACHQ. You’ll find an index of guides and practice tests below. Enjoy! Download a copy of our popular free report ‘The 4 Steps To Numerical Test Success’. The key to preparing for your test or assessment is to practise tests from the correct supplier. 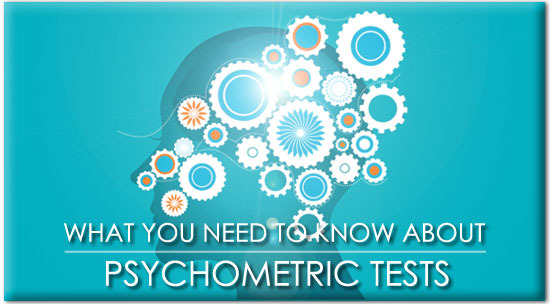 Help, I’m terrified at the prospect of psychometric tests! Like it or not, modern employers use every technique they possibly can to get an insight into your mind, skills and personality. 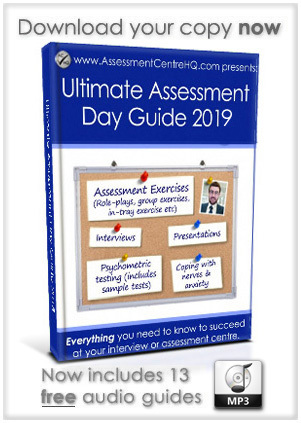 Psychometric tests and aptitude tests have become standard practice at assessment centres and recruitment events as employers try to form a well-rounded view of candidates’ abilities. As we explain in the assessment centre exercises section, recruitment processes have become significantly more rigorous in recent years; competition for jobs is fierce at the moment due to the challenges in the global economy. 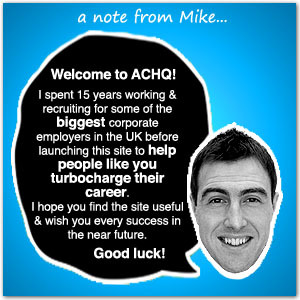 (It’s tough out there right now – particularly for graduates). But don’t worry, we’re going to share lots of expert advice, advanced techniques and secret tips to boost your chances of success. Before we begin, please read our assessment centre introduction if you haven’t already done so. It will give you important background information and further context for the exercises and tests we’ll cover in this section. And please don’t skip our article ‘How To Prepare For Your Interview Or Assessment Centre” which may be the single most useful article on the site! 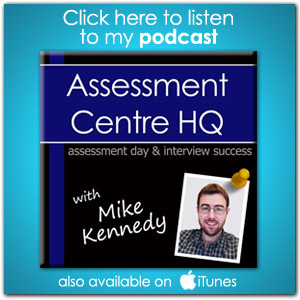 Assessment centre exercises broadly fall into two areas. Firstly ‘performance-based’ activities which we cover in the assessment centre exercises section (eg roleplays and presentations). Secondly psychometric tests & aptitude testing (eg verbal reasoning tests and personality questionnaires). In this section we’ll focus on the second group of these activities. 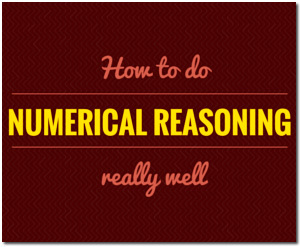 ‘Psychometric’ is a fancy way of saying ‘measuring mental ability’. Make no mistake this is one of the assessment areas that can expose an otherwise plausible candidate – we’ve seen it happen many times. It is essential that you prepare for these exercises. Communication is one of, if not the most important skill in a modern working environment. For the majority of today’s business roles it’s crucial that you score highly in this area. Read this article and give your chances of success a huge boost. Less important than verbal reasoning for the majority of roles (outside of the finance sector at least), but still a highly visible barometer of mental capacity and education, this is an article you don’t want to skip. Lots of employers in aerospace and engineering sectors (and also some that are not) require candidates to sit logical reasoning tests. This guide will show you what to expect and how to succeed. One of the only ‘tests’ that isn’t really a test. This is more about investigating a candidates working preferences (there are no ‘right’ or ‘wrong’ answers, after all). Even so, you want to project the best possible image, right? We tell you everything you need to know. We hope you find this aptitude section useful and wish you the best of luck in your future career.